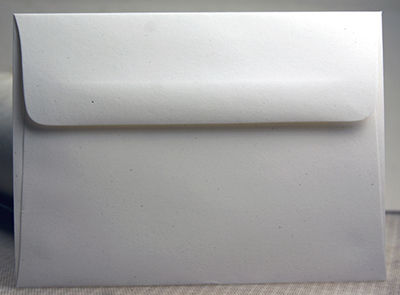 These machine made invitation envelopes are the best match for our line of cotton handmade paper. 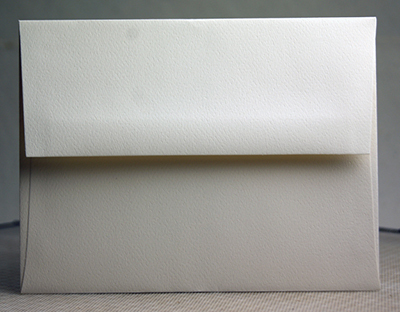 They come in many sizes, and a handmade stitched edge and natural deckle edge options are available. 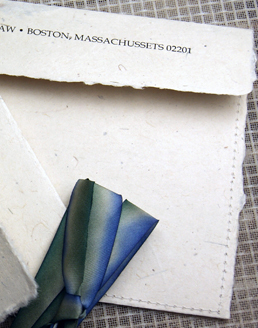 Request a sample to see the true color. 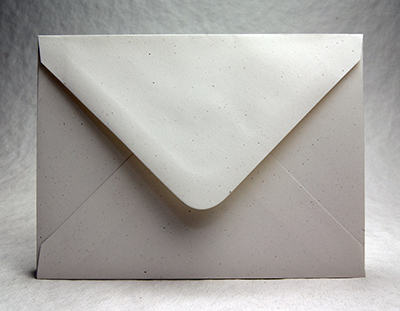 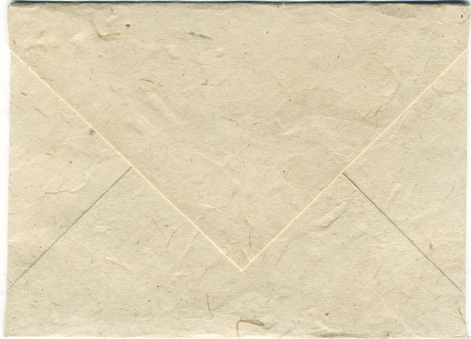 These envelopes are made from our handmade cotton paper and are offered flat or assembled. 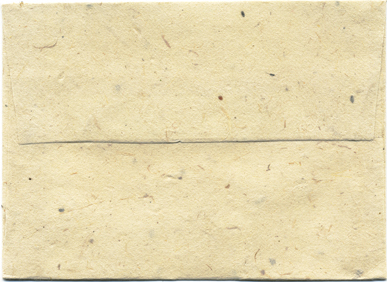 These handmade lotka paper envelopes are a heavy weight stock in a neutral tone to blend well with Of The Earth papers and our Lotka paper. 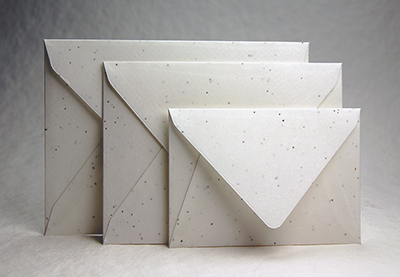 These handmade lotka paper envelopes are a light weight stock in a neutral tone to blend well with Of The Earth papers and our Lotka paper. 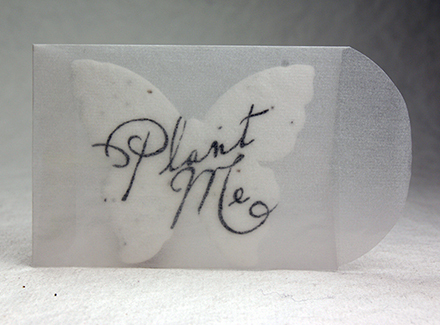 These contain our flower seed blend. 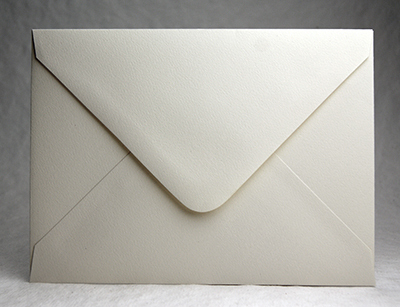 These envelopes are made from our handmade cotton paper and are offered with a long or short flap..